During the NAFCU Congressional Caucus, lawmakers expect to enact small changes to financial services regulations. 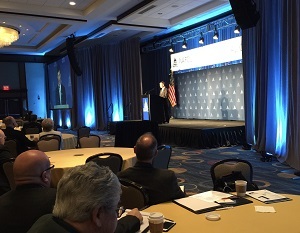 House Financial Service Chairman Jeb Hensarling’s (R-Texas) speaking at NAFCU's Congressional Congress. The House may consider legislation to enact small changes to the financial services regulatory regime in an effort to convince the Senate to act, Rep. Blaine Luetkemeyer (R-Mo.) said Tuesday.